Fitness enthusiasts lauded the Reebok JJ II for being a comfortable training shoe. Based on general user feedback, the trainer was stable for plyometrics, squats, and weightlifting. Its grippy sole was praised for providing good traction. Wearers commented that the wide toe box allowed for comfortable toe splaying. The material used for the shoe was considered durable by a handful of testers. Some users mentioned that the trainer looked good for casual wear. Many reviewers complained that the JJ II ran a size bigger than what they were used to. The material on the upper did not sit well with some of the gym buffs because it was too stiff for them. The Reebok JJ II received good reviews in general. It was lauded as an all-around training shoe that is also good enough for casual wear. Gym aficionados liked that the shoe kept them steady during squats, lifting weights and plyometrics. Not only did the wearers find it appealing, but they also deemed it to be durable. Despite the overwhelmingly positive response, a good number had issues with the sizing and the apparently stiff upper material. The JJ 2’s are a well built, high performing, excellent quality shoe that can hang with most shoes that cost about half more than Reebok is asking. It's an awesome shoe; it's not really designed so much, you know, for CrossFit athletes, you know, people in that space. I think this is really designed for, you know, football players. 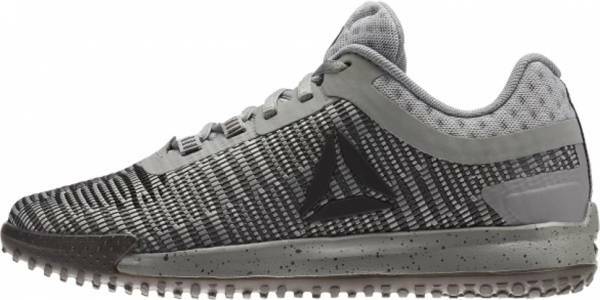 The JJ 2 Training Shoes from Reebok are a great pair of training shoes for those looking to train for sports in a similar manner as JJ Watt. Released in July 2017, the JJ II is the second Reebok workout shoe designed in collaboration with an American football player J. J. Watt. The JJ II has been redesigned to have a lower profile, different tread pattern for better traction and a new woven material atop the mesh. The LiquidFoam, the midsole technology used in the first JJ has been retained, as well as the mesh upper. More cushioning has been added to the tongue to keep the foot more comfortable and secure. The JJ II is available in men’s sizes only and doesn’t have a dedicated women’s version. The available width for the shoe is D – Medium. The outsole of the JJ II is made from a transparent rubber that runs the entire length of the shoe. The outsole is engineered to be resistant to abrasion and wear and does not easily get compressed. The flat heel provides stability during weightlifting or squatting while the slight upward curl on the toe helps the foot during dynamic routines. It sports new graded lugs that provide more grip and traction needed when pushing off the ground. The LiquidFoam technology is used in the midsole of the shoe. This type of cushion is soft enough to absorb and distribute the impact. It is also adequately firm to support and stabilize the foot. The JJ II also features support pillars inside the midsole that prevent too much compression and keep the foot firmly planted during weightlifting or squats. The mesh upper of the Reebok JJ II is reinforced with LenoWeave, a sheer fabric created by twisting around two warp yarns onto weft yarns. The twisted warp yarns are what makes the LenoWeave durable. The combination of the mesh and LenoWeave keeps the foot properly ventilated and supported during workouts. Round laces secure the webbed lacing system. Two strips of fabric going across the first two eyelets near the forefoot to deliver a snug fit when the laces are tightened. The tongue and collar of the JJ II are padded to cushion the foot as well as to keep it in place. It has a low-cut profile that facilitates ankle mobility during explosive workouts. At the back of the shoe is a heel counter, which serves to support the heel during lateral movements and plant the foot to the midsole. In August 2018, the trainer has returned to the market in plain white hues to signify a "Clean Slate", or a fresh start for the great J. J. Watt. The shoe symbolically reflects the athlete's mental and physical recovery from a serious injury. The removable insole features a yellow construction tape with black letters stating: "Never let a stumble in the road be the end of the journey."